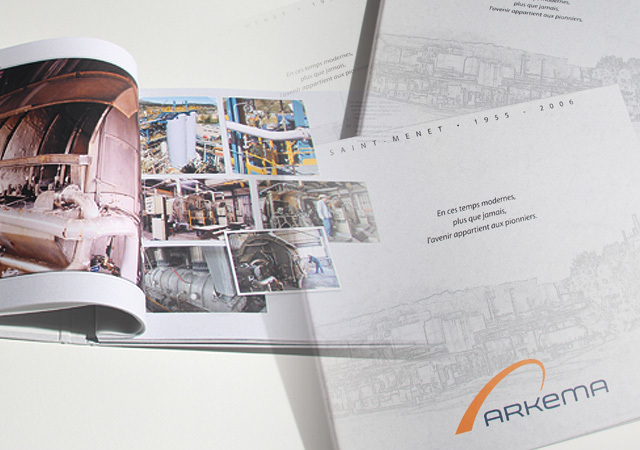 For the 50th anniversary of Arkema’s factory in Marseille, Ideogram Design created a booklet to pay tribute to the people who actively contributed to the prosperity of the factory. Shooting, interviews, design, layout, production, delivery and a beautiful object given to the factory’s employees. 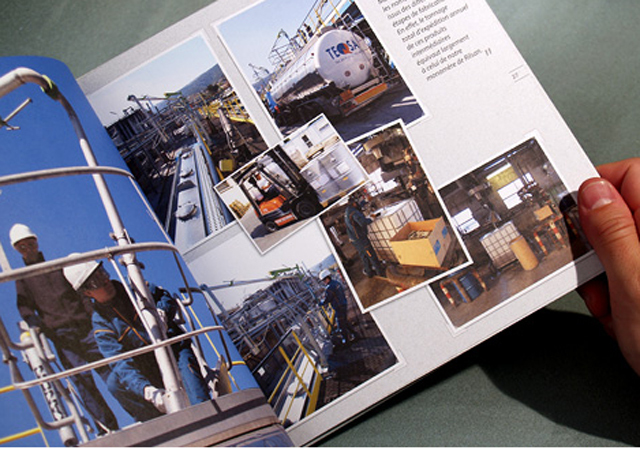 The 56 pages booklet is printed on 250g matte in quadrichromy with a double-sided printout, format: 230x250 mm. The pages are linked by 2 screws. 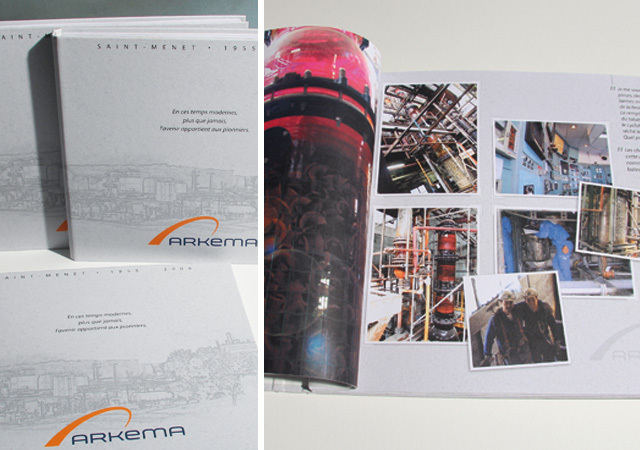 The first page is printed in colour on tracing paper, with a transparency featuring the factory when it all started! Furthermore the cover is made of a cardboard sleeve mat laminate.